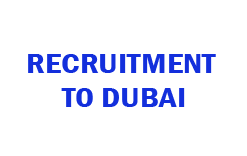 Various Job Opportunities Available in Dubai. Here is the list of Current Job Hiring. Candidates only with minimum 3 to 5 years gulf experience may urgently apply.